Over the last few months the very generous Waitrose Rohais staff and store have been helping with feed for Olivia the loggerhead turtle. Both the store and the staff have been helping donate the squid that she seems to really enjoy from the Waitrose Rohais fresh fish counter. On Friday last week as a way of a thank you two of the Waitrose staff popped along to the GSPCA at feeding time and had the unique opportunity to feed Olivia in her enclosure at the GSPCA. 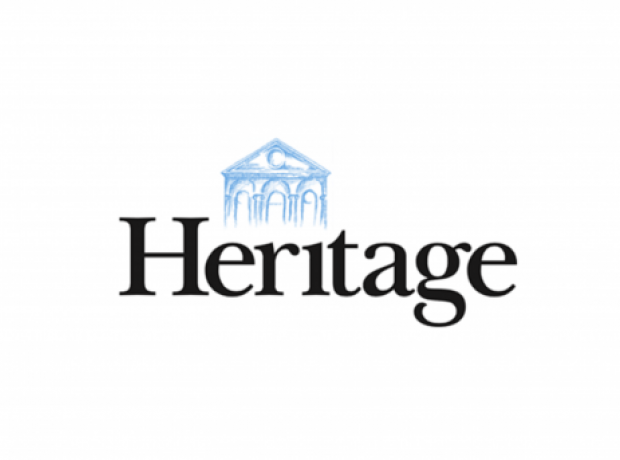 The GSPCA would like to say a huge thank you to the staff at Heritage International Fund Managers who have kindly donated a grand total of £100. The fantastic donation was raised through their staff charity tuck shop and has been added to the funds to help Olivia the turtle fly to the Canaries. Marcelle Belle Secretary at Heritage International Fund Managers said "The staff charity tuck shop at Heritage International Fund Managers has donated £100 to help return Olivia the turtle to her natural habitat." On Fish Friday last week the wonderful and generous Waitrose Rohais staff and store helped once again towards Olivia the loggerhead turtle. Since she started eating on her own just over 2 weeks ago she is now keen to eat all she can. Every Friday if you have a My Waitrose card the fresh fish counters in Waitrose offer a 20% discount. On Fish Friday last week Waitrose Rohais not only donated a further 4kg of squid for Olivia the amazing staff also chipped in for a further 4kgs to help feed the loggerhead turtle at the GSPCA. Last night Steve Byrne GSPCA Manager and a number of visitors went to turn Olivia the Loggerhead Turtles lights off and witnessed an extraordinary event. When she was first rescued she was extremely close to death and barely breathing or moving. Over the last two months the GSPCA have been working hard to care for her but sadly she has refused to eat meaning that the team have had to feed her directly. 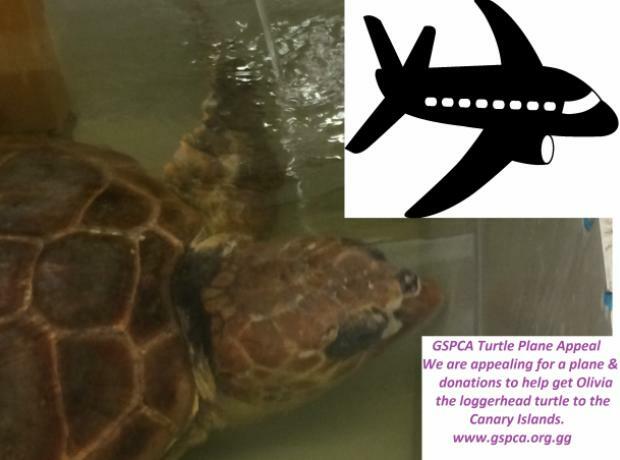 She continues to swim well and we continue to appeal for funding and transportation to get her to the Canary Islands. Two months on and Olivia the loggerhead turtle that was found extremely close to death when she was rescued on Vazon has come to a point where she is now ready to take the next big step. When she was found she could hardly move as she was so cold, hungry, dehydrated and weak. She is now swimming well and we now need to find her transportation to the Canary Islands. The next big step for Olivia is to get her back to a warmer climate and a rescue centre with experience to finish her rehabilitation. Over a month on and Olivia the loggerhead turtle is now is a warm salt water pool at the GSPCA and doing very well. As you can imagine heating the rooms and now the pool aren't cheap and we continue to appeal for any support with donations towards her care. One month and one day ago a 20 year old female loggerhead turtle was rescued on the west coast of Guernsey on Vazon beach. Close to death the GSPCA have been caring for her around the clock to help save the emaciated, weak and dehydrated turtle called Olivia. Today after a great deal of treatment, care and feeding the team decided that it was time for her to have her first swim in salt water in over a month. The large pool has been donated by Spa De La Mare and they have been very helpful setting it up and providing the heater to keep the water warm. Every day we see strength and weight gained on Olivia the loggerhead turtle who has in the last few days made strides with her movement in her pen. Last week she was started on solid food, that is if you can call squid solid but it is the first whole food she has received. Having arrived and put on fluids then moved on the a liquidised food it has been wonderful to see her consume whole food with a little help. We have been busy with the finishing touches with her heated pool which has been an awesome team effort from local support.